- Coordinated by licensed state and federal court interpreters and translators in the US, we also provide excellent services to you in the US by our patent agents and experts. - Excellent communications with the State Intellectual Property Office (SIPO) of China, and can effectively resolve challenging cases in the patent application and litigation process. Longbu "Logan" Zhang, Former Patent Examiner at SIPO. 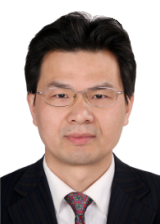 Mr. Zhang joined Jianquan IP Law Firm in 2013. Previously, he worked as a patent examiner in China for 20 years in the fields of Electronics and Communications. Before Jiaquan, He worked for Beijing Dragon IP Law Firm as the director of Electronic Department, and Lung Tin International IP Agents Ltd. as a partner in charge of the Electronic Department. He is skillful in patent prosecution, invalidation, infringement analysis in the fields of networks, communication, software, computer, image processing and electronic commerce, etc. He graduated with a bachelor's degree in electronic engineering in 1983 and a master's degree in IT project management in 2007. He currently resides in Los Angeles, California, and Beijing, China.